None of us are strangers to the age-old concept of a "new year's resolution"... I rarely make them, but in 2019, I want to make my health a top priority. To me, health not only encompasses my exercise regime and diet, but my oral care as well. I am married to a dentist, after all. As I reiterated in my Formulate post, Smile Brilliant helped me get wedding-ready with their incredible whitening system. You can read all about my experience here. 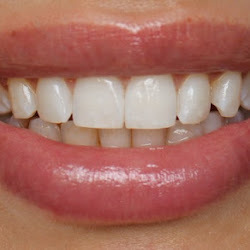 Months later, I am still thrilled with my results and use my custom trays and whitening product for maintenance. Now, one of my favorite companies has come out with a sonic toothbrush called the "CariPro." I've been an avid Sonicare user for over 15+ years, so I was really interested in giving this one a try. I noticed a few key differences immediately. First, the brush power, regardless of setting (there are five, by the way) was gentle, yet very effective. The Sonicare always left my mouth feeling clean, but often times, I would experience gum irritation or bleeding. I'm thrilled to report that I have not experienced any of that with the CariPro. Second, the brush bristles were much fluffier, if that's the proper description, than the Sonicare. The fuller brush allowed for the toothpaste remain in place during operating and really foam up. Third, as I briefly stated, there are multiple settings available. There's nothing better than having options when it comes to your oral health because some days my teeth may be more sensitive than others, and I can opt for the "sensitive" setting. I've been using the "white" setting in the AM and the "clean" setting in the PM. I do, however, switch it up when I'm feeling so inclined. The versatility is one of the best features. Fourth, the back of the brush head has little grooves that are meant to be used as a tongue cleaner. I absolutely love that because I don't have to switch tools to get a full-mouth clean. All-in-all, this is an A+ product if you're in the market of a new electric toothbrush. 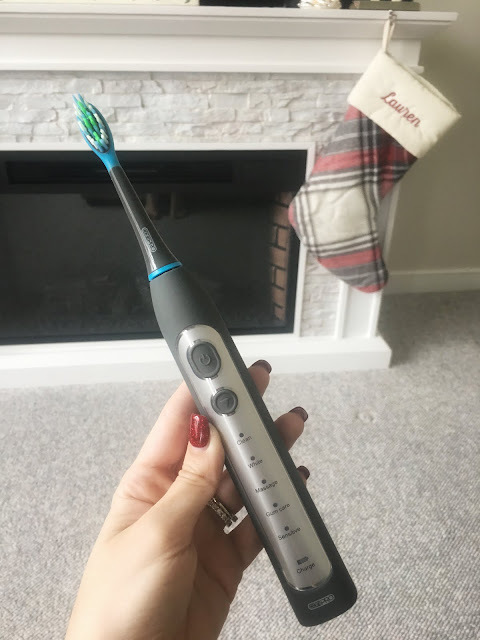 If you are currently using a manual toothbrush, please (please, please) consider switching over to an electric version. I'm not a dental professional, but can attest to that fact that there are a plethora of benefits, and the investment is well worth the money. My only recommendation if you get the CariPro would be to get your own brush cover. That's something that my husband has continually stressed to me. It's of the utmost importance to protect the brush itself for obvious reasons, as we all know where our toothbrush resides (e.g. the bathroom). Those covers are everywhere from the drugtstore to Amazon, and they're very inexpensive. 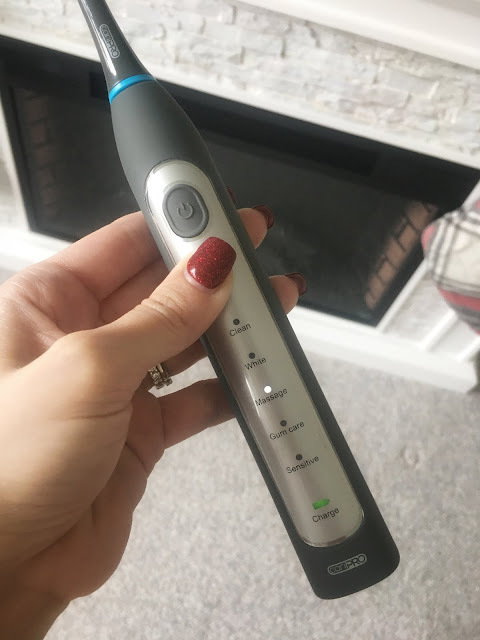 BUT, don't rush to order you're new toothbrush just yet...As part of my second collaboration with Smile Brilliant and CariPro, we have another fabulous giveaway, so that you'll also be able to share in my 2019 health journey! Rules are simple - just enter by clicking on THIS LINK for a chance to win. Even if you're not the lucky winner, use the code "righttoremainfab20" at checkout for 20% off your entire purchase! The giveaway will run through the January 1, so be sure to treat yourself to an entry and start the year off right!! As 2018 quickly comes to a close, I wanted to take a minute to thank you all for following along and sharing in our joy this year. I sincerely hope you have a wonderful holiday, and I look forward to bringing lots of new content to you come January. As always, you can get your daily fix on Instagram @RightToRemainFab. It's seriously been forever and a day since I shared an actual blog post. 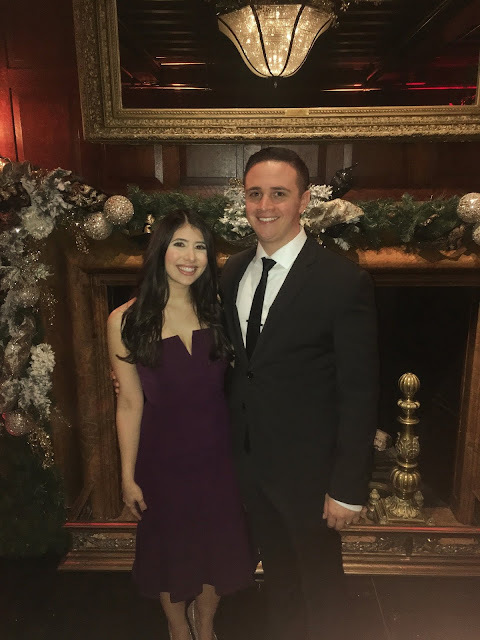 This past summer was truly magical - I got to marry my best friend on a gorgeous, sunny Saturday and celebrate with the Hawaii Honeymoon of a lifetime. I can't wait to relive it again in the coming weeks. 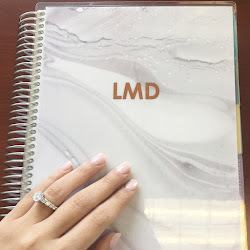 I have lots of content planned for the new year, including two new series: "Wedding Reflection Wednesdays" (where I'll recap everything #ReadyToBeRivera) and "Casual Fridays" (where I feature go-to, effortless work looks that will ease you into a wonderful weekend). Aside from blog-related updates, we're had a lot going on at the Rivera Residence ...we bought our first home in early October. Homeownership is wonderful, and we couldn't be happier with our decision. If you're solely a www.righttoremainfab.com reader, be sure to follow along on Instagram @RightToRemainFab. I'm on there a ton more, especially during December. My 9-5 is more like 9-midnight with year-end fast approaching. Now, let's get into the topic of today - hair! hair! hair! I had the opportunity to participate in Formulate's launch by testing on their first batch of product. 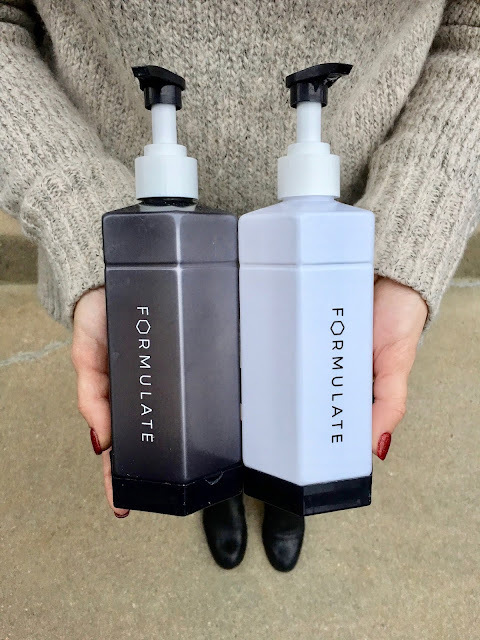 Formulate's concept is simple: shampoo and conditioner that is created specifically for you. How many times have you walked aimlessly through Target, Sephora, Ulta or the drugstore (or wherever you opt to buy hair products) searching for "Mr. Right"...and by that, I mean, "Mr. Right Haircare." Formulate's site is very user-friendly, and inquired about hair concerns and goals from root to tip. After the proper formulation is determined, you get to select your scent. My main hair concern was the need for volume, and my top goals included reduction of thinning and growth. In terms of my fragrance of choice, I opted for the mid-tone, coconut-based option, known as "Tidal". You can read all about my specifics here: https://www.formulate.co/u/righttoremainfab. PLUS, you can enter to win a free shampoo and conditioner set! There will only be one lucky winner, but all runners up receive a $5 off coupon! To keep it short and sweet, I highly recommend that you give Formulate a try! It's somewhat difficult to show my true results with photos, so be sure to check out my Instastories - feel free to DM with any questions.